I recently spied an adorable toddler craft that coordinated with one of my favorite childhood books, If You Give a Mouse a Cookie . Pop by Texas Tales to see the cookie craft that coordinates with the book. We don’t have If You Give a Mouse a Cookie in our personal library, but we do have If You Give a Cat a Cupcake . And, since my kids absolutely adore cupcakes, they received several other cupcake themed books as gifts. 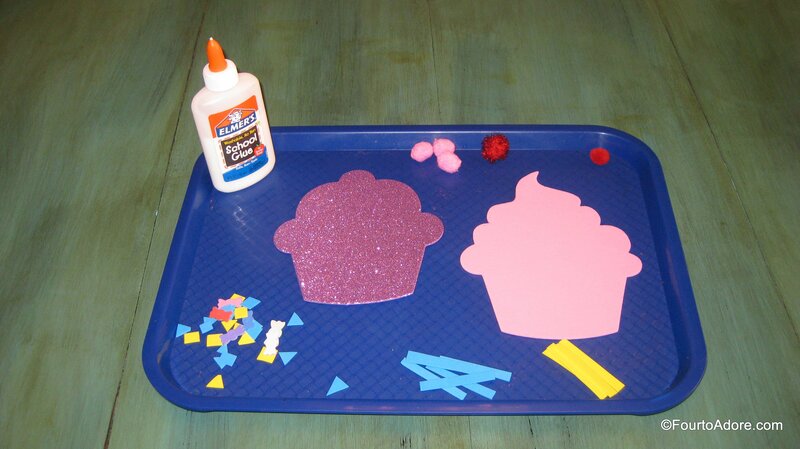 I was delighted to find cupcake shaped foam cut outs and mini glitter shakers at Target’s One Spot last week. With our book collection and craft supplies, I decided we should devote an entire day to the quad’s beloved dessert. 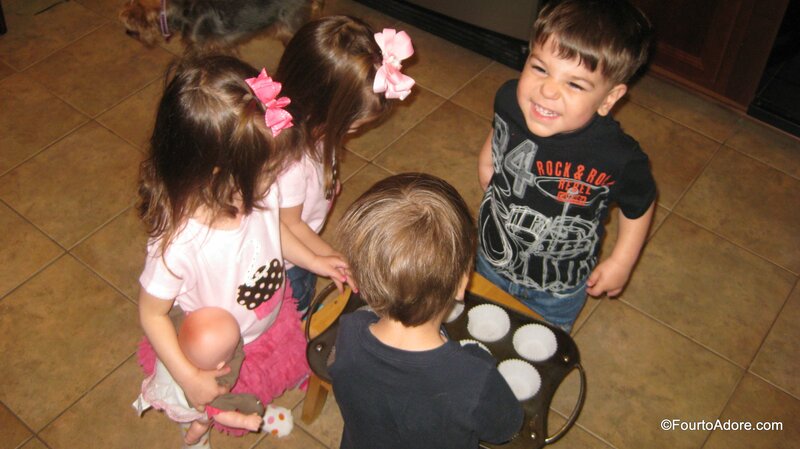 One morning, I enthusiastically announced that it was “Cupcake Day” and told the quads of all our cupcake themed plans. 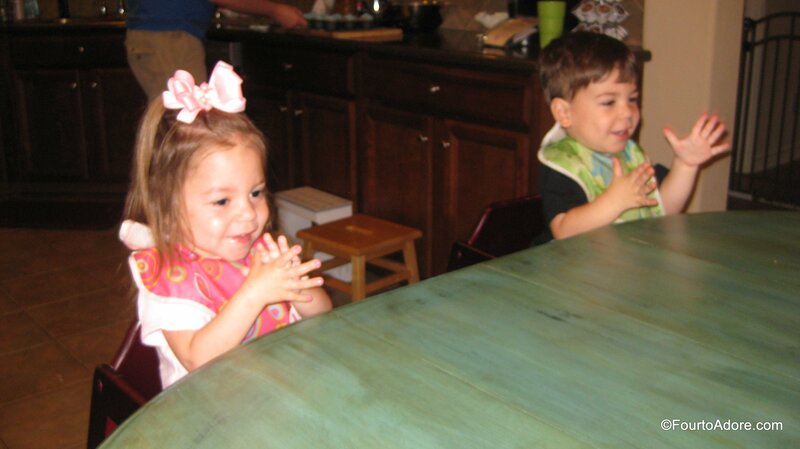 Their eyes glistened in anticipation as their mouths watered at the mere thought of cupcakes. 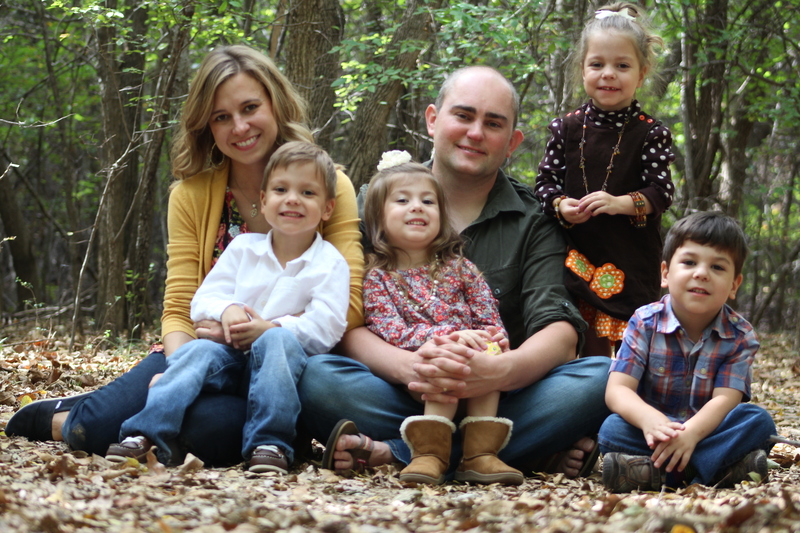 We started by getting dressed for the day. 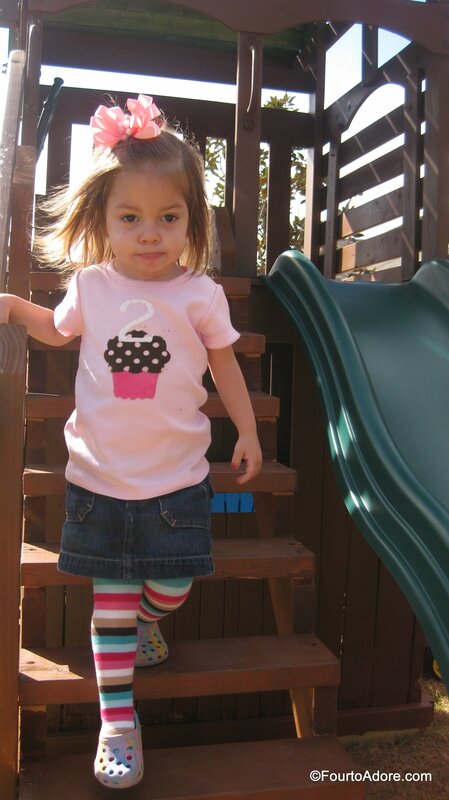 Naturally, the girls wore their cupcake t-shirts. Once everyone was dressed, we read If You Give a Cat a Cupcake and talked about cupcake toppings before making a cupcake craft. 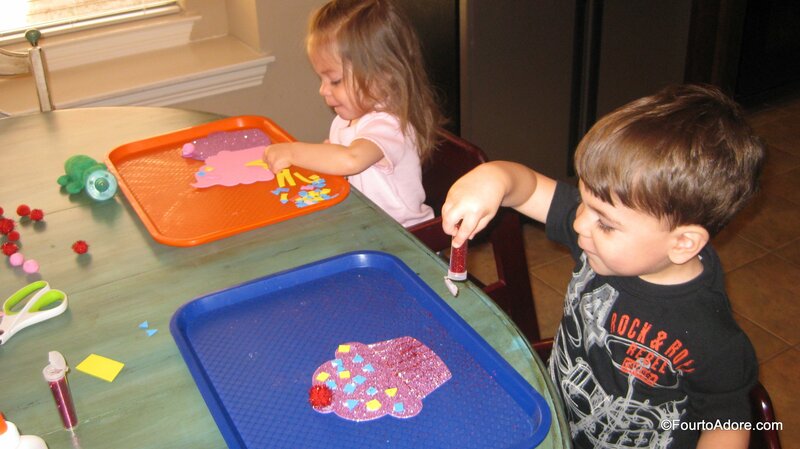 When we do crafts at the kitchen table, I use a lunch tray to contain pieces for each child. It works really well by establishing a boundary for materials and clean up is a cinch. I’m not ready to let the quads loose with glue so I dotted the glue myself and let them stick the sprinkles, wrappers, and cherries on their cupcakes. 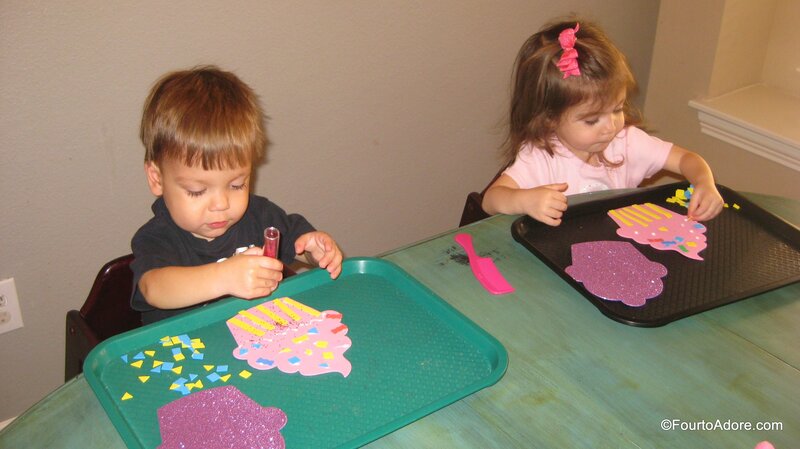 Since the glitter shakers were small, they were perfect for the kids to shake without making a huge mess. In fact, I may keep the containers to refill for later crafts. Making a cupcake craft was fun, but you can’t celebrate Cupcake Day without eating cupcakes, which meant it was time to bake Funfetti cupcakes. 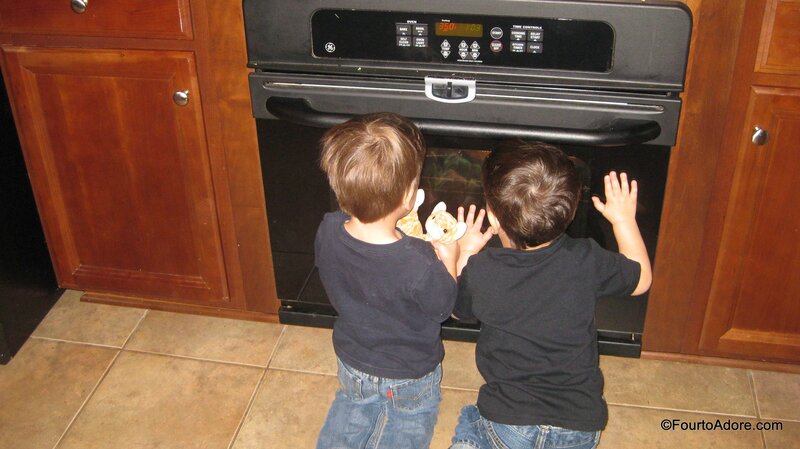 I wanted to involve the quads, but knew they’d be impatient with baking. I pre measured everything and gave each one a turn pouring an ingredient into the mixing bowl. 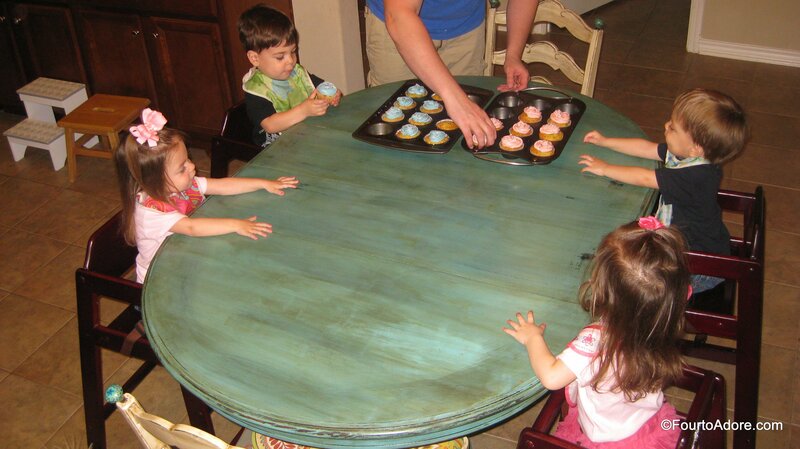 Once the batter was mixed, I moved our cupcake pan onto a stool and asked the quads to put liners in each hole. 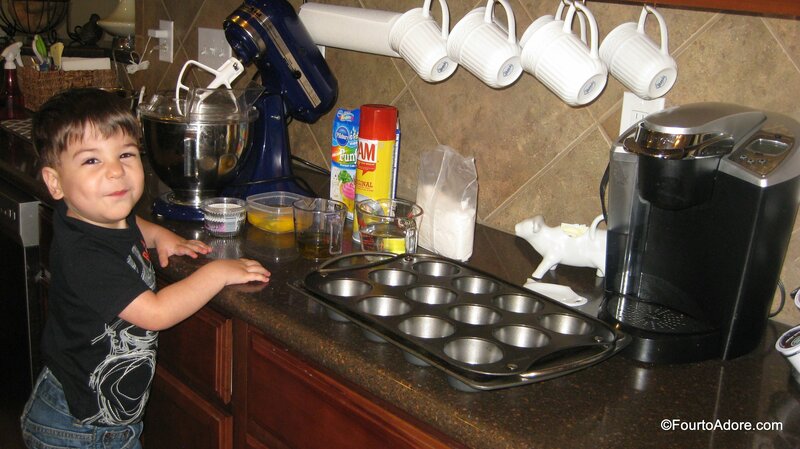 During naptime, the cupcakes baked then cooled. 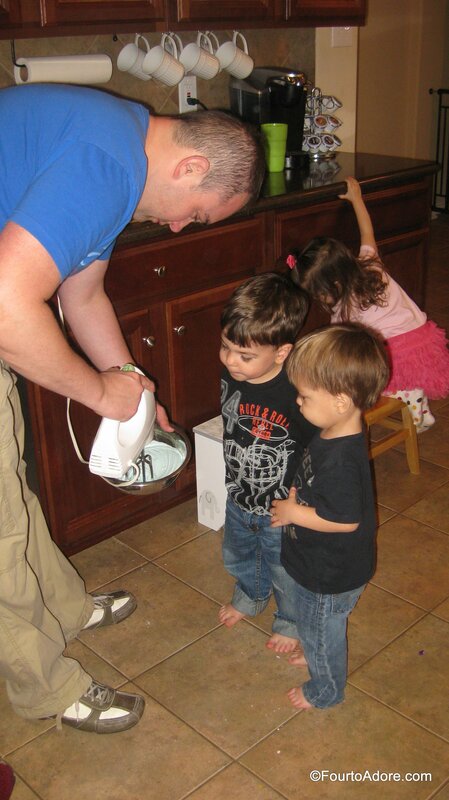 George arrived home shortly after nap and insisted we make cream cheese frosting for our cupcakes. Even though I didn’t want to deal with frosting mess, he was right, cupcakes are never complete without frosting. It’s the BEST part! 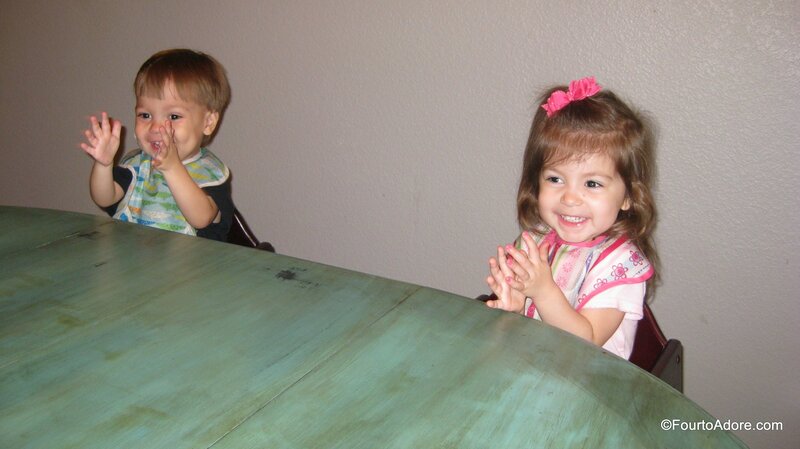 As soon as each cupcake was delicately frosted and accessorized in rainbow sprinkles it was snack time. These cupcakes earned a round of applause. Seriously, the joy harnessed from cupcakes tempt me to celebrate Cupcake Day several times a year! It’s no surprise, when we asked the quads what color frosting they wanted, the vote was split between blue and pink. Consequently, we frosted half blue and half pink. What is your favorite dessert? I enjoy a cupcake, but honestly chocolate chip cookies are my weakness, especially when they are warm. This post contains affiliate links. Please visit my disclaimer page if you’d like more information about links. Thanks =) They had a blast! Those are super cute!! Loved the dessert to match. Your post cracked me up! I’m a cookie lover too, but cupcakes can be delicious too.